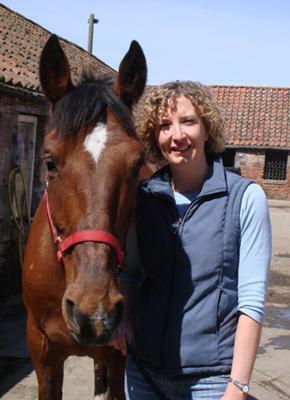 Maeve Grant is a Chartered Veterinary Physiotherapist based in Edinburgh, providing equine physiotherapy and rehabilitation in central Scotland. 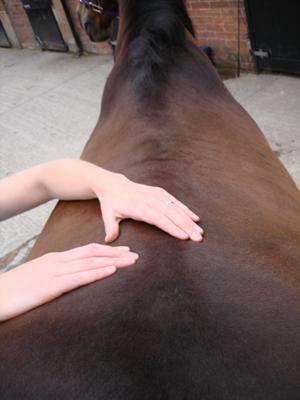 Physiotherapy can help your horse by relieving pain, increasing mobility and promoting healing. Often horses only display subtle signs of pain or discomfort such as a change in behaviour, a change in performance, stiffness or a change in their normal movement pattern. Physiotherapy is extremely useful in assessing these horses and providing the correct treatment or referring to the vet if there is an underlying condition. In the sporting horse, physiotherapy can help to achieve and maintain optimal performance levels. The rider may alter how the horse moves by carrying an imbalance or injury. 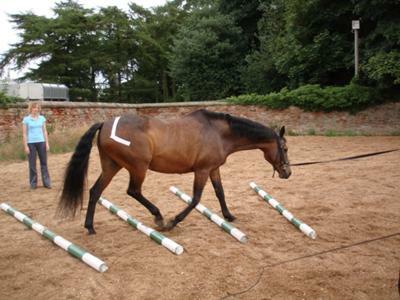 Maeve offers expert horse and rider movement assessment and analysis. With over 10 years of extensive experience in treatment of musculoskeletal problems and sports injuries in people, Maeve is ideally placed to assess and offer advice and treatment to the rider.